Lotus Greens is a dynamic new age real-estate developer well known for his innovative green building projects. This Delhi NCR based company made a name for himself in a very short period of time and presently developing 800 acres of land in the region. 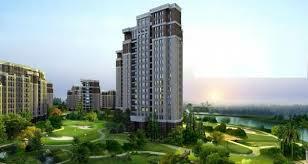 Sports City is Lotus Greens latest sports-themed megacity project spread over 180 acres land in sector-79, Noida. This sports township designed to provide luxury housing abodes along with state-of-the-art indoor, outdoor sports facilities, recreation centers, best amenities, and tranquil environment. Lotus Arena 2 is situated within the Sports City at sector-79, Noida offering luxury homes in the lap of nature and finest amenities. Lotus Arena 2 is a sport-themed luxury township offering you the best sports living experience at remarkable prices. It is designed to provide a peaceful natural living environment complemented with advanced sports, recreational facilities, and other world-class luxuries. 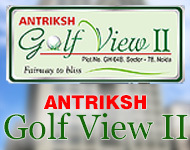 This under-development residential project has 07 acres prime land area out of which 80% is a free open area. Here, it offers you 3 and 4 BHK luxury apartments with 1562 sq.ft - 2465 sq.ft size range, and world-best amenities at a very reasonable price. Each apartment is meticulously designed, spacious and comes with superb interiors and a host of luxuries at your disposal. Ambient architecture, green eco-friendly environment, calm surroundings, lavish greens, allow you to live an active and healthy life. This star rated GRIHA Green project is an ideal choice for sports living where one can rejuvenate, unwind after a stressful day and live a healthy and productive life. All residential towers have a well-earmarked drop-off area, grand entrance, and attractive floor-plans. Other amenities include a swimming pool, jogging track, kids play area, indoor and outdoor sports facilities, modern landscape with fountain and gazebos, convenient shopping arcade. Besides these, Lotus Arena 2 has a futuristic club with the poolside cafe, restaurant, modern gymnasium, multipurpose banquet hall, library, indoor sports, and Yoga, meditation room. 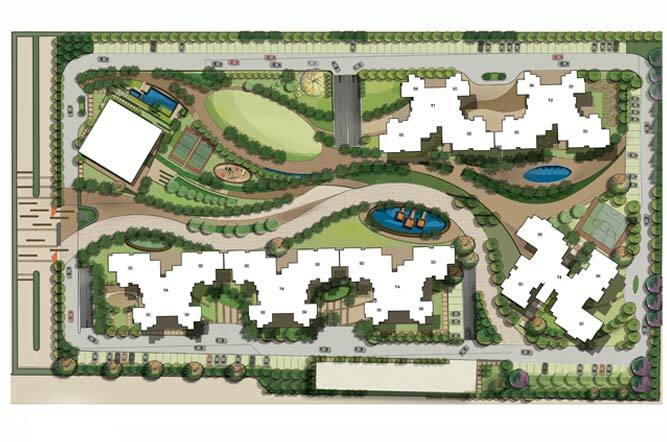 Also, surface parking, recreation garden, childrens park, kids pool, round-the-clock security, power back up, uninterrupted water supply intended to provide a comfortable lifestyle. 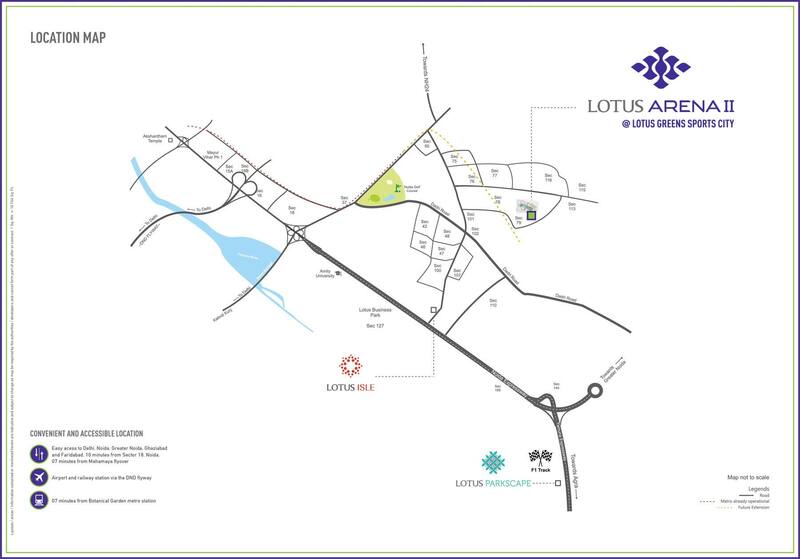 The Lotus Arena 2 project location is one of its biggest USP situated right in the heart of prime residential hub. Sector-79, Noida is one of the best-connected regions giving you a smooth access to major landmarks, places in the area. Located within 10 minutes distance of Botanical Garden metro-station, Sector-18 also accessible from Greater Noida, Ghaziabad, Delhi, Noida, and Faridabad. Lotus Arena 2 offers you all the benefits of modern city life along with the pure, calm environment of natural paradise.